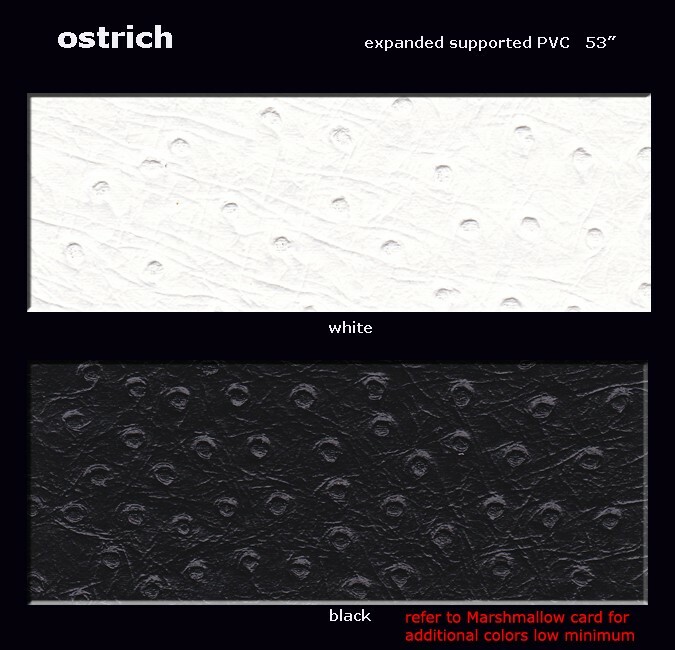 Ostrich embossing in expanded, supported knit-back PVC. Width 53". See Marshmallow card for additional colors low minimum.